There is a famous Jim Rohn saying that goes: “you are the average of the five people you spend the most time with.” Well, yes, probably. Maybe. Sort of. But, it’s misleading. Certainly, the thoughts, feelings, and behaviors of your friends (we’ll call the 5 people you spend the most time with friends) will affect you. If they are successful and driven people, you are probably going to have that in common with them and also be successful and driven. The opposite, of course, is also true. Whatever the profile of the individuals, what you really have are a set of behaviors. Indeed, we are little more than the sum of our behaviors. Which begs the question, which comes first, the behaviors or the friends? Let’s ignore for a moment that it seems nearly impossible to change your group of friends without changing what you DO on a daily basis. 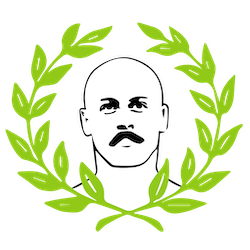 Changing your friends or peers might have some leverage over your habits and behaviors, but would it be enough to change a lazy sloth into a high-powered executive? I doubt it. On the other hand, if you were to change the majority of your behaviors, do you think your friends group would change significantly? Absolutely. So through the magic that is logic, we see that the greater lever that you can exert control over is that of your behaviors. Actually changing behavior is another topic, but first it helps to recognize what they actually are. Outside of working hours what are the top 10 things you’ve spent your time on in the past 5 days? Are those things aligned with your wants and goals? If you have a goal lift, how many times have you trained it (or a variation) in the past 5 training sessions? How much TV have you watched in the past 5 days? How many books have you read in the past 30 days? How much time have you spent moving or exercising in the past 5 days? What have you eaten the most of in the past 5 days? If you’re an entrepreneur, or otherwise work for yourself, what have you spent most (top 3) of your “work” hours doing? If you took an inventory of the things you did in the past 5 days, and you were told you’d have roughly the exact same 5 days six months from now, would you look forward to it? Are the behaviors you do most often aligned with how you view yourself? You are the average of your 5 most common behaviors. What do you do the most? In terms of things you need to survive, sleep is second only to air and water. You can comfortably go a couple minutes without air and a couple hours without water (survival time is about two days). Without sleep, normal function begins to degrade after just 18 hours. Sleep is so necessary and so powerfully auto-regulated by the body that death by sleep deprivation is actually impossible. Under significant sleep deprivation, a person will begin to take forced microsleeps in which the brain will “shut down” for seconds or minutes. I wrote about how to take short naps to recharge your battery during the day. While I think everyone can benefit from setting aside 30 minutes to chill, you are obviously going to get more out of a nap where you actually fall asleep. Being able to fall asleep instantly is especially handy here. Falling asleep in general seems to be a big problem for many people I talk to. They’ll complain that they lie down to sleep, but they just can’t get there. Often times they’ll then get up to do something until they’re completely exhausted a few hours later. Ends up being 2am, amirite? I think everyone can learn how to fall asleep fast. It just takes practice. Start with good, basic sleep hygiene. Here are some creative sleep tactics. Remember, not everything works for everyone so don’t get hung up on supposedly proper sleep methods that don’t work for you. Go to bed earlier. A good rule of thumb is that every hour of sleep before midnight is worth two after. 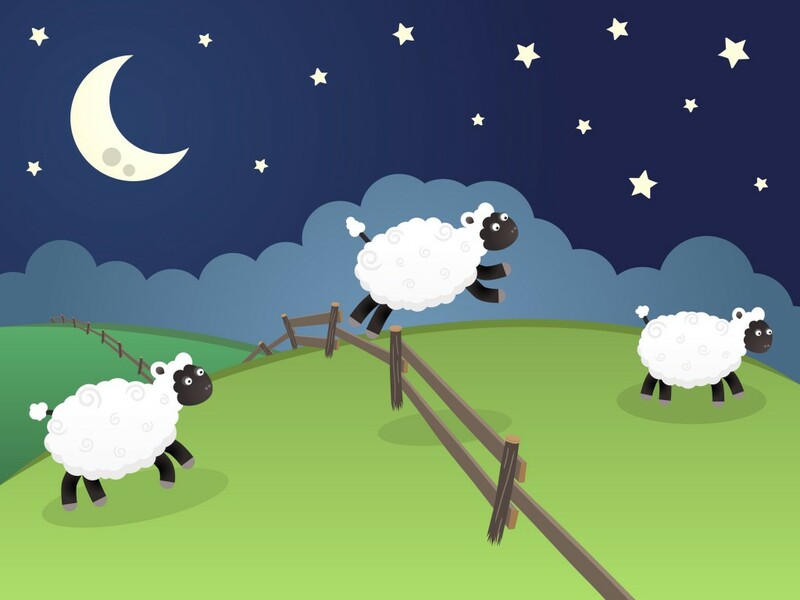 This is the big one in my experience – treat sleep like meditation. You can’t fall asleep when your mind is racing thinking about a hundred things you have to do. Acknowledge anything that comes to mind, and then immediately dismiss it. At first this will be difficult, and you’ll probably wonder why it’s so hard to just think about nothing. With time, you’ll notice it becomes easier to dismiss a thought as soon as it comes into your head. Soon, you’ll be falling asleep the moment your head hits the pillow. I truly believe that improving your sleep may be the highest-payoff investment you can make in your health and wellness. Literally everything improves when you get good sleep. Use this tip to learn how to fall asleep fast, become a ninja at falling asleep, and you’ll be one step closer to awesome, restorative sleep. If you asked me in all seriousness if I would ruin a cast iron pan then, I would have answered in the affirmative. In fact, a few years ago I bought a nice cast iron skillet for the grill. After having left it outside numerous times (because it was too hot to bring inside after grilling) and letting the rain cause it to rust, it’s basically useless until I get around to sandblasting it and re-seasoning it. My future brother-in-law and his wife didn’t know this, so they graciously gifted me with two really nice Lodge cast iron pans for Christmas. Apparently I have matured because I’ve taken remarkably good care of them and I’ve learned a couple tricks to caring for cast iron pans. My main pan has an amazingly seasoned surface, and it literally gets better with every use. Saturated fat is inappropriate for the exact reason that it is so stable and good for cooking – it doesn’t oxidize easily. 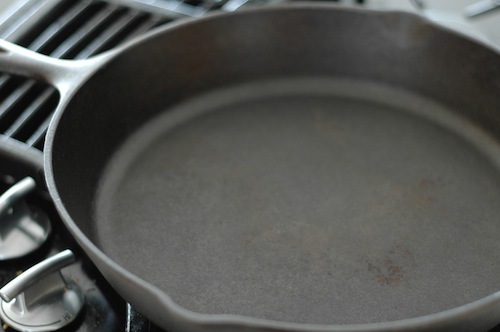 To season a pan, you actually want oxidation to occur. Hence, you want to go to the opposite end of the oil spectrum. In her post Sheryl recommends flaxseed oil, as it is highly oxidizable and in fact is usually refrigerated. I think you can get away with canola oil, and still get great results – but it won’t be as good as flax oil will be. 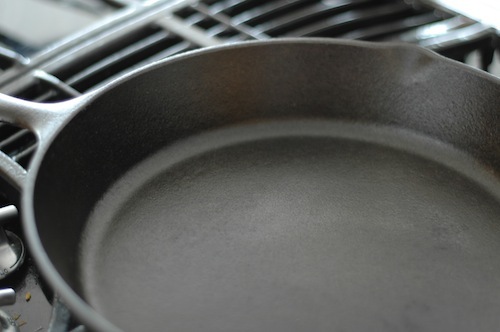 Wash the pan as soon as it cools down. Never soak it for hours. Soak for a few minutes if you have stuff really stuck to it. Scrub it clean with a stiff brush and soap. Soap is not going to take the seasoning off a properly seasoned pan. Dry it off with a towel or paper towel. Put it on the stove and heat it up until it’s completely – usually only takes a minute or two. Turn the burner off. 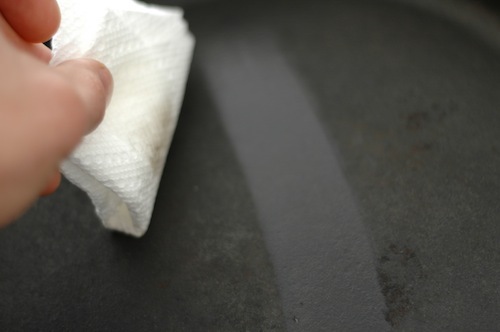 Take a tiny bit of oil on a paper towel, and brush the entire surface of the pan. 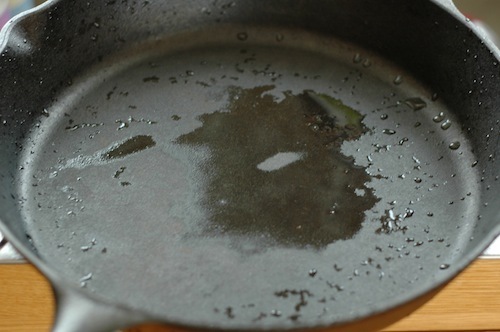 Flip the paper towel over to the dry side, and rub the pan completely so the layer of oil is as thin as possible. Let it cool down and put it away, or leave it on the stove. Make sure the pan is dry and hot. Just the thinnest coating of oil.